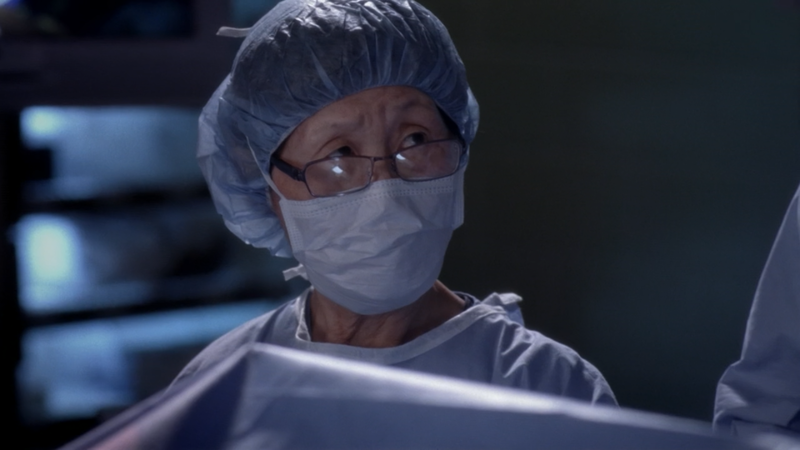 There are two things I think all Grey’s Anatomy fans can agree on: “Chasing Cars” is the most important song ever and Bokhee the scrub nurse is a legend. 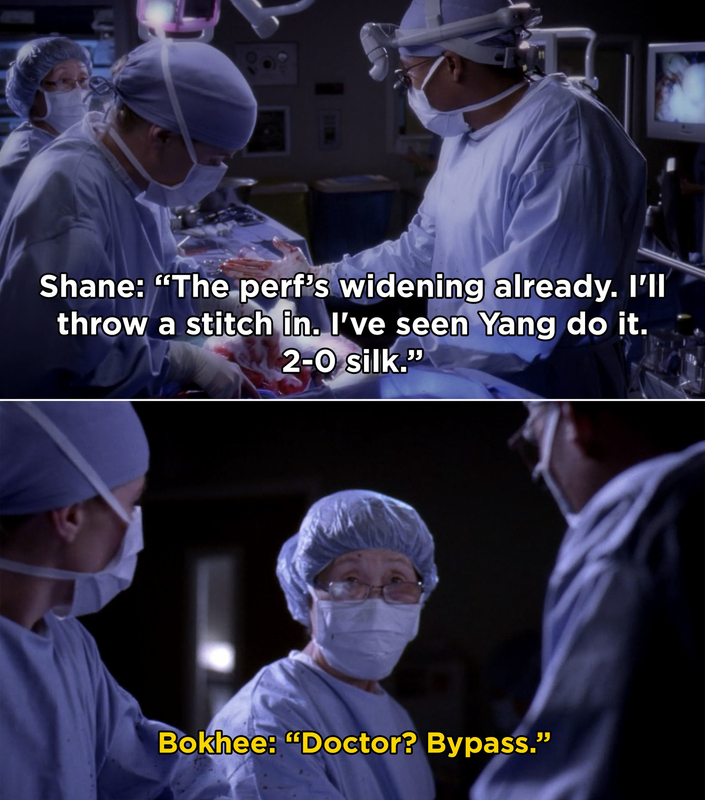 For those who don’t know, Bokhee is a scrub nurse who has appeared in 234 episodes! For some perspective, that’s more episodes than our beloved Cristina Yang! Bokhee is also a surgical nurse IRL and was brought into the show to make sure the surgeries feel as authentic as possible. She’s been through everything with the Grey-Sloan doctors. I mean, she was even invited to Jo and Alex’s wedding. So, up until this point, Bokhee has literally only had one line in the entire show. In Season 10, she briefly exchanged words with Shane during a risky surgery. 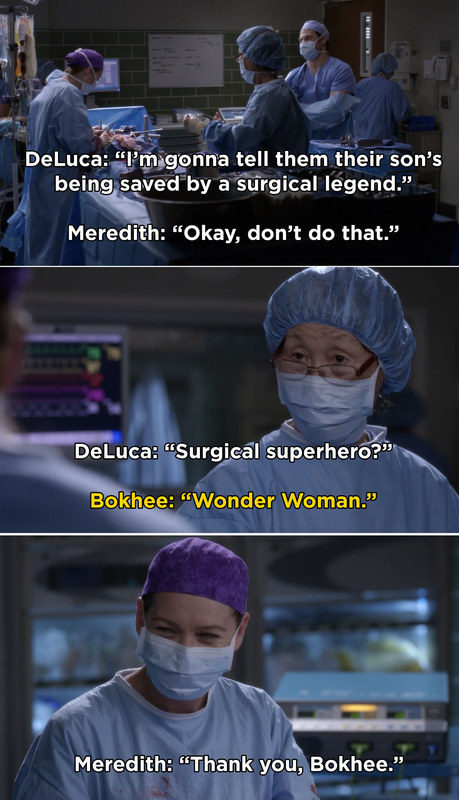 But, in this week’s episode, our dear Bokhee finally said a line to our queen Meredith Grey! After Meredith broke the Grey-Sloan record for the longest surgery ever, Bokhee celebrated with her and I’m emotional. Here’s the full clip in case you want to relive it over and over again! Heck, even the cast and crew was excited for her! Congratulations, Bokhee! You’ll always be our number one! And, after this moment, I cannot wait to see what Grey’s Anatomy has in store for fans during their record breaking episode next week! See y’all next Thursday!